New York things or New Jersey things? And what's all this talk about Pryor? The only relevant Pryor is Richard and he's dead. I expect us to lose. But not as easy as you seem to think. I also think there more heart innthus game for us. Cousins played us just to get money. Darnold andbthe staff want to show up to show we are just as good without him here. And let’s be real... while you’re the more talented team... you’re 3-2-1 with a loss to the Buffalo Bills!!! Anderson, Pryor, Kearse, Peake, Roberts. Where it’s a big issue is if Anderson and Pryor can’t play. But that will be typical Jets... no skill position players. I expect us to lose. But not as easy as you seem to think. The Minnesota Vikings have only faced one veteran quarterback this year. On Sunday in the Meadowlands, former USC star Sam Darnold will become the third rookie quarterback to face the Vikings in seven weeks. Two other foes, Jared Goff and Carson Wentz, are entering their third years in the NFL and Jimmy Garoppolo made just the eighth start of his career on opening day. Head coach Mike Zimmer has generally dominated unseasoned quarterbacks. Last year, the Vikings defeated Mitch Trubisky and Brett Hundley twice, easily beat DeShone Kizer and slowed Jared Goff to seven points. That trend isn’t new. Quarterbacks in their first, second or third years in the NFL have only beaten Zimmer five times in 22 tries. Fifteen of those games have featured multiple sacks, 11 have gone under 200 yards and six have included multiple interceptions. Those numbers don’t include Garoppolo, who went 15-for-33 with 261 yards, one touchdown and three interceptions. There was no excuse to lose to the Bills, but that's what our Vikings do...they lose some game that they were heavily favored in. In 2016, it was the Colts, in 2015, it was the 49ers...hell, in 2014, it was the Bills then too. Last year was one of the few years that they didn't really lose one that they shouldn't have...except maybe for the Lions game when Dalvin Cook went out. I'm not expecting this to be an easy game, but I do expect that the Vikings should win...but, it's gonna be close, just like the 2014 game. With the more experienced QB, our secondary dismantled, and your talented WR core it's going to be really tough on Darnold to keep pace. Add to the fact that our WR core is now equally injured with only Kearse of the top 4 guys not currently dealing with an injury. Would be a huge win if we can pull this off given the situations of each team going into this game. Darnold needs to be on his game if we have any shot and OL needs to continue to play at a high level. 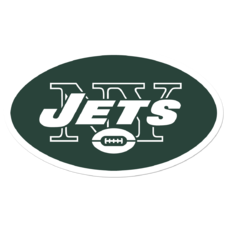 I think if we get the good Darnold and good OL play we should be at least be able to keep it close and not get smoked.